THE ROSEBUDS are "Life Like" in the video for the title track to their current LP. NEW RELEASES: Neko Case, Buddy & Julie Miller, Wild Light, Say Hi, Rush, Thin Lizzy and more are streaming in full this week via Spinner. Bell X-1 releases Blue Lights on the Highway. Issac Hayes is streaming via AOL. U2, whose album also comes out this week and is playing letterman every night, is the subject of a decade-spanning photo essay at TIME.com. And I missed last week's in-depth profile from Jon Pareles in The New York Times, so maybe you did, too. BONUS: Bono called Coldplay's Chris Martin a "wanker" and a "cretin," though I think he wasn't completely serious either time. DOUBLE-BONUS: The campaign to embarrass the members of U2 over their tax avoidance is getting its boots on. BEN KWELLER did an interview + tracks with NPR's All Things Considered. ANIMAL COLLECTIVE: Panda Bear (a/k/a Noah Lennox) speaks with Variety from his home in Lisbon, Portugal about the new record, basketball, and his love for Emily Dickinson. 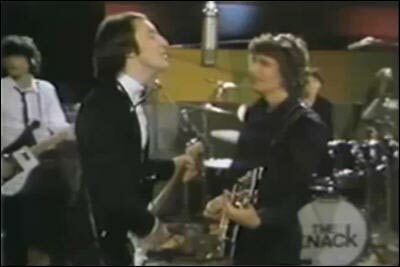 THE KNACK were a two-hit wonder, charting "My Sharona" and "Good Girls Don't" in 1979, which makes them an ideal Twofer Tuesday. BOB DYLAN is asking Jack White, Lucinda Williams and Willie Nelson for help on 20 to 25 unfinished songs by Hank Williams. BEIRUT: Zach Condon talks to the A.V. Club about Oaxacan delicacies, the not-so-universal language of musical love, and why he expects Realpeople to fail. THE ARTIST CURRENTLY KNOWN AS PRINCE is launching a paid subscription site where fans can download his upcoming three albums, live videos, possible full concerts and unreleased music. ANDREW BIRD is profiled by Filter. THE APATOW CREW spoof everything from Vanity Fair covers to Frida Kahlo and The Honeymooners in a photo essay at Vanity Fair. TOM-KAT UPDATE: Holmes talks about motherhood, her marriage to Cruise, etc. with Glamour magazine. So you know it's hard hitting. RHIANNA & CHRIS BROWN returned to L.A. together, and her family is less than thrilled. JENNIFER ANISTON takes a break from complaining about interviews regarding her private life to do one for Elle UK. AMY WINEHOUSE apparently turned her flight home into a party, much to the chagrin of others on the overnight flight from Barbados to the UK. HEATH LEDGER's final film, The Imaginarium Of Dr Parnassus, has failed to secure a US distribution deal and is yet to be awarded a release date, according to reports. WATCHMEN: The HBO First Look at the superhero saga opening Friday is Tubed in two parts (Part One, Part Two). ELIZA DUSHKU talks to the A.V. Club about Joss Whedon's Dollhouse, of which she is the producer as well as star. SEAN PENN is called a moron by his Cuban-born, Venezuela-raised former co-star Maria Conchita Alonso. THE SARAH SILVERMAN PROGRAM is rebelling against budget cuts imposed by Comedy Central. IRAN: The Obama administration has already concluded that a diplomatic overture to Iran, one of the central promises of the president's election campaign, is unlikely to persuade Tehran to give up its nuclear ambitions. Iran has demanded an apology from a team of visiting Hollywood actors and movie industry officials saying films such as "300" and "The Wrestler" were "insulting" to Iranians. An Internet security company claims that Iran has taken advantage of a computer security breach to obtain engineering and communications information about Marine One, Pres. Obama's helicopter, according to a report by WPXI, NBC's affiliate in Pittsburgh. PAKISTAN: The Taliban violated the Swat truce. Shocka. AFGHANISTAN: More secret negotiations are underway to bring troops fighting alongside the Taliban into Afghanistan's political process, according to Al Jazeera. NATO may ask China for help with establishing a new supply route into Afghanistan. The UN said it would be nearly impossible to hold elections in April. 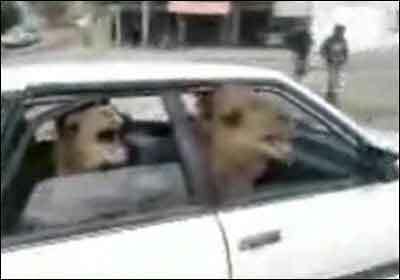 CAMELS take a Subaru to the West Bank for a dinner date in the Palestinian Territories. THE WORLD'S ONLY PINK BOTTLENOSE DOLPHIN, discovered in an inland lake in Louisiana, has become such an attraction that conservationists have warned tourists to leave it alone. 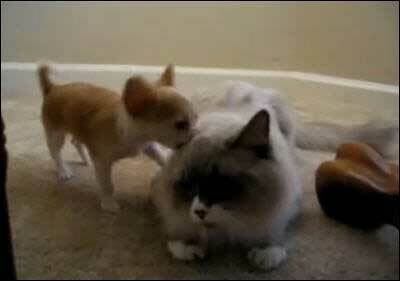 CATS & DOGS, living together... mass hysteria. SHARK ATTACKS a teen on the northern beaches of Sydney, Astralia. Organisers of Sunday's Sydney Harbour Swim are playing down fears of further shark attacks, after a Navy diver was mauled two weeks ago. Mayor Larry Vaughn was unavailable for comment. CHEETA the CHIMP's fictionalized memoir is excerpted by NPR's All Things Considered. THE GASLIGHT ANTHEM have a performance video out for "Great Expectations." THE REPLACEMENTS: Despite the collective will of fans waiting with bated breath for a reunion, the book on the Replacements has likely closed with Rhino's recent round of deluxe reissues, according to former bassist Tommy Stinson. NEKO CASE talks to NPR's Weekend Edition and stopped by Sound Opinions for a chat and mini-set, as part of a show that also has features on U2 and The Pains of Being Pure at Heart. THE PAINS OF BEING PURE AT HEART, meanwhile, list a few of their favorite things for Pitchfork. YEAH YEAH YEAHS have a new teaser video for their upcoming It's Blitz album. MGMT are suing French Pres. Nicolas Sarkozy's UMP party for using one of their hits as a campaign soundtrack without permission. JASON ISBELL & THE 400 UNIT played the World Cafe last week, so you can stream the gig on demand via NPR. VAN MORRISON released Astral Weeks: Live at the Hollywood Bowl last week, and gets an audio feature frm NPR's Weekend Edition. LUCINDA WILLIAMS talks to the Birmingham News about songwriting, finding her voice, et. WEEKEND BOX OFFICE: Madea Goes to Jail repeated at No. 1 with 16.5 million, even with a 60 percent drop. The weekend shocker is The Jonas Brothers: The 3-D Concert Experience finishing second with 12.7 million, when experts were estimating it would make as much as 40 million. It should still make money, but Ouch! 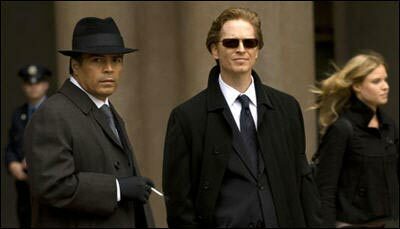 Slumdog Millionaire reaped the spoils of Oscar, surging 45 percent to finish third with 12.2 million. Taken continues to show amazing legs in fourth place, taking in 9.9 million and crossing the 100 million mark. He's Just Not That Into You rounds out the Top Five, earning another 5.9 million. Below the fold Coraline plummeted to seventh place, mostly because theaters pulled it from its 3-D screens to make room for the underperforming Jonas Bros. Even so, the delightfully creepy flick has topped 60 million against a 35 million production budget. Street Fighter: The Legend of Chun-Li opened in the eighth slot. RHIANNA & CHRIS BROWN are reunited? Battered diva syndrome. BRITNEY SPEARS: Fmr "maganger" Sam Lufti, who has been ordered to stay completely clear of the pop wreck with no contact, tells the court he had no direct contact with Britney Spears -- but he says ex-bf Adnan Ghalib did. LINDSAY LOHAN is converting to Judaism to show her devotion to Samantha Ronson, according to the ever-reliable Daily Mirror. MADONNA's ex-husband, Guy Ritchie, reportedly has been dissing Madge behind her back by referring to her as "It." JENNIFER ANISTON & OWEN WILSON ate dog biscuits on German TV. BONUS: Wilson's loved ones - including his brothers Andrew and Luke - are worried about the impact his volatile relationship with Kate Hudson will have on his fragile mental health, according to the ever-reliable Star. CLINT EASTWOOD apparently believes that political correctness has rendered modern society humorless, for he accuses younger generations of spending too much time trying to avoid being offensive. THE CURIOUS CASE OF BENJAMIN BUTTON: Ed Ulbrich, the digital-effects guru from Digital Domain, explains the Oscar-winning technology that allowed his team to digitally create the older versions of Brad Pitt's face for the movie. VAL KILMER is serious enough about running for Gov. of New Mexico to reportedly hire a political strategist, to seek out the advice of lawmakers among the state's congressional delegation and to push back as the state's journalists mine celebrity profiles and tabloid coverage. ED McMAHON has been hospitalized in intensive care, where he is being treated for pneumonia; he has was recently diagnosed with systemic bone cancer. PAUL HARVEY, the news commentator and talk-radio pioneer whose staccato style made him one of the nation's most familiar voices, died Saturday in Arizona. He was 90. James Lileks has a streamable proto-"Rest of the Story" story from 1968. PAKISTAN: The radical cleric behind the Swat ceasefire and ongoing negotiations looks to mediate between the government and the Taliban in the most dangerous tribal agencies. AFGHANISTAN: Pres, Karzai has called for elections to be held on April 21 after the election commission moved the date back to August. The interior minister estimated the Taliban to have between 10-15K fighters. IRAN: A street in Tehran was named after Imad Mugniyah, Hezbollah's former military commander who was assassinated in Syria in 2008. Supreme Leader Ayatollah Ali Khamenei told Iraqi President Jalal Talabani that the US is "preparing the ground for a long and permanent presence in Iraq." IRAQ: Three al Qaeda leaders, including the oil minister for the Islamic State of Iraq, were detained in Baqubah. 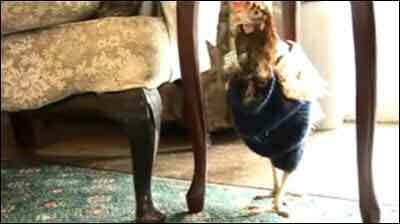 SWEATERS for CHICKENS: Let's go to the video. PARROTS teach a Maryland firefighter to speak again. And he wants a cracker. A BABY GOLDEN LION TAMARIN was born at the Detroit Zoo. YETIS may well exist, according to wildlife expert Sir David Attenborough. ... with GARAGE ROCK! 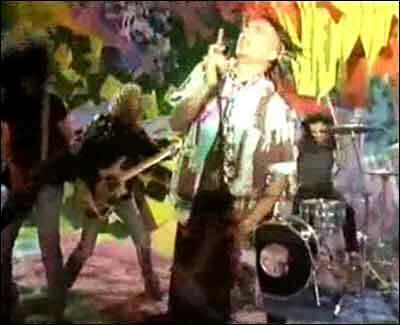 After surveying power-pop a couple of weeks ago, I found myself in the mood for a dozen Nuggets, like Music Machine - "Talk Talk"; Blues Magoos - "We Ain't Got Nothin' Yet"; The Knickerbockers - "Lies"; The Outsiders - "Time Won't Let Me"; Count Five - "Psychotic Reaction"; The Seeds - "Pushin' Too Hard"; 13th Floor Elevators - "You're Gonna Miss Me"; The Standells - "Dirty Water/ Why Pick On Me"; The Leaves - "Hey Joe"; Electric Prunes - "I Had Too Much To Dream Last Night," the Crazy World of Artur Brown - "Fire" and The Nazz- "Open My Eyes." NEKO CASE talks to Exclaim about making Middle Cyclone, moving to rural Vermont, and more. The site also has a Neko timeline. Don't forget you can advance stream Middle Cyclone via NPR. A.C. NEWMAN talks to the Santa Barbara Independent about (among other things) whether he sees his album as in competition with fellow New Pr0nographer Neko Case's new LP: "No, I don't see us going head to head. It's a ridiculous, unwinable fight. I think I'm like Don Quixote and she's the windmill - the impossible dream. By that I mean she would slaughter me in any fight." LEONARD COHEN: After a five-year stint in a Zen Buddhist monastery and various legal distractions, he is back on the road: an undertaking that seems to combine his quest for spiritual fulfillment with an effort to regain his financial footing, lost when his former business manager made off with his money while Mr. Cohen was living as a monk on a mountaintop above Los Angeles. You can stream his Beacon Theater gig on demand via NPR. THE HOLD STEADY: Craig Finn recalls the Reagan era and the Zero Boys for The Guardian. BEN FOLDS talks to Exclaim about his current tour, producing everyone from Amanda Palmer to William Shatner to "Weird Al" Yankovic, and more... It made me want to hear the BFF rip through "Kate" again, and to watch him back Shatner and Joe Jackson on Pulp's "Common People." ELENI MANDELL talks to ChartAttack about the ttitle of her Artificial Fire album, her two side projects, Los Angeles, etc. BEN KWELLER, whose latest album is countrified, tells the Pittsburgh Post-Gazette he would open for Tim McGraw or Alan Jackson. PYLON guitarist Randy Bewley died after a heart attack suffered while driving in Athens on Monday. CUTOUT BIN: From The Records to Reunion, from The dB's to Pat Travers, from the Chairmen of the Board to the Zombies, plus Fountains of Wayne, Cheap Trick, Big Star, Glen Campbell and more-- this Friday's fortuitous finds are streaming from the Pate page at the ol' HM. THE GODFATHER WARS: How the movie classic got made, over the objections of the studio and the mafia. NOW SHOWING: This weekend's wide releases are Jonas Brothers: The 3D Concert Experience, which is currently scoring 29 percent on the ol' Tomatometer (not that it matters, given the huge advance biz from tween girls), and Street Fighter: The Legend of Chun-Li, which wasn't screened for critics prior to its release. THE RAZZIES founder John Wilson talks to The Guardian: "They try and ignore us like a fart in a church. We focus on big-budget, big-name, well-known movies because they have no excuse to be as bad as they are." TOM BRADY & GISELLE BUNDCHEN: Hitched. This time for sure... nithing up my sleeve... presto! ANNIE LIEBOVITZ has pawned the rights to her life's work in order to raise nearly 16 million bucks to pay off her debts. CLINT EASTWOOD may act again, "if a great script comes along." JERRY SEINFELD is reteaming with NBC to launch his first reality series. But it's not clear whether he will appear on it. CAPRICA, the spinoff-prequel to Battlestar Galactica, has a trailer online. WATCHMEN is getting split reviews - The Hollywood Reporter thinks it's a flop, and Variety seems disappointed, while the Times of London raves. Will I have an opening day review here at Pate? (shakes Magic 8-Ball) All signs point to "yes." TAKING CHANCE brought home the Kevin Bacon last weekend, with HBO's biggest audience for an original movie since 2004. There is a lesson in that for Hollywood that will likely go unlearned. ISLAMISM in the UK: The British Army is facing increasing numbers of British Muslims fighting for the Taliban in Afghanistan. INDIA: Police in Mumbai have accused a serving officer in the Pakistan Army of being involved in the terrorist attacks on the city that killed more than 170 people in November. PAKISTAN: Doubts beset Islamabad's Shariah deal for Swat. AFGHANISTAN: Hundreds of US troops pushed into a key Taliban stronghold Wednesday in a major operation to stop the insurgents from infiltrating the Afghan capital from the south. IRAN: France, Germany and Britain are proposing a tough list of additional sanctions to be imposed against Iran over its disputed nuclear program. Which Iran will take seriously when they start strictly enforcing the sanctions already in place. IRAQ: American commanders in the pacified south are saying that it's time to start pulling US troops out. Michael E. O'Hanlon and Kenneth M. Pollack of the Brookings Institution acknowledge the progress in Iraq, but note the lingering challenges there. THE SCIENCE OF CUTE: What Makes Cute Things Cute? A 771-LB STINGRAY became the biggest freshwater fish ever caught using a rod and line: "That line from the film Jaws came to mind about needing a bigger boat because we had to get it to the shore to tag it." A FAMILY OF FOXES sets up its own "penthouse" home in a treetop. A COYOTE gets booted from the train into Portland from the airport. RAT & MICE CARCASSES = fashionable headgear. 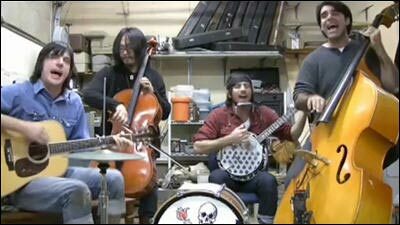 THE AVETT BROS cover "Glory Days" as part of Springsteen's "Hangin' on E Street" series. THE BEATLES: Ever wondered how The White Album's "Revolution 1" and "Revolution 9" are actually related? 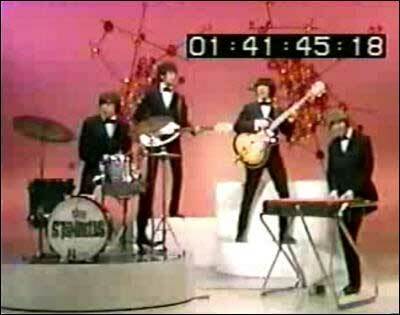 Well, the almost eleven-minute Take 20 of "Revolution" recorded on May 30 and 31, and June 4, 1968, with John Lennon singing flat on his back, has leaked out on teh Internets -- and it's kinda explanatory. ALL SONGS CONSIDERED: Tracks from Neko Case, Bishop Allen, Serge Gainsbourg and more feature in the latest installment of the NPR series. CLEM SNIDE frontman Eef Barzelay discusses the band's new Hungry Bird album on NPR's Day to Day. PITCHFORK Managing Editor Scott Plagenhoef talks to Wired News about the slowly-growing indie empire: "We're simply trying to start conversations, share thoughts, experiences and ideas, and approach music as fans rather than consummate insiders... we're still a 100% independent publication -- and we've done things that we, as music fans, would have liked someone else to do." 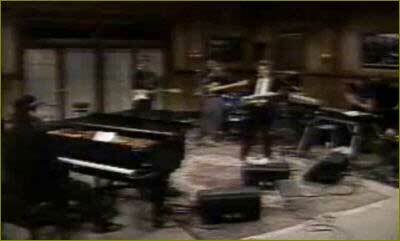 DR. JOHN explains "Iko Iko" to David Sanborn on the ol' Night Music program. Hiram Bullock and Jeff Healy join in. A little post Mardi Gras, but better late than never. RA RA RIOT guitarist Milo Bonacci talks to the East Bay Express about the 2007 death of drummer and lyricist John Pike, the importance of arrangements in their music and more. THE LITTLE ONES vocalist/guitarist Ed Reyes talks to the Riverfront Times about life after being dropped from Astralwerks in the EMI restructuring. LILY ALLEN is a borderline furry. Pics at the link. I knew that Twitter account would pay off. THE HOLY MODAL ROUNDERS get an audio feature + tracks at NPR. FREIDA PINTO of Slumdog Millionaire will join Naomi Watts, Josh Brolin and Anthony Hopkins on Woody Allen's latest project. CHRIS BROWN, The troubled R&B singer arrested two weeks ago on suspicion of making criminal threats against girlfriend Rihanna, is taking anger-management classes. ANNA PAQUIN is currently seeing her on-screen True Blood love interest Stephen Moyer. LINDSAY LOHAN could get a role -- and parental supervision -- from Warren Beatty. BRITNEY SPEARS: Ex-bf Adnan Ghalib was arrested and charged with a felony for running over a court officer who tried to serve the paparazzo with a restraining order against the singer. Ghalib pleaded not guilty. Meanwhile, the pop wreck plans to be sawed in half on her upcoming tour. MORGAN FREEMAN is getting sued by the woman (and possible mistress) who was the passenger in the actor's "horrific" car crash last August. SANDRA BULLOCK's bed is getting very crowded. KATHY GRIFFIN is getting two million for a memoir? I guess the recession is over -- or Random House is getting some bailout money. 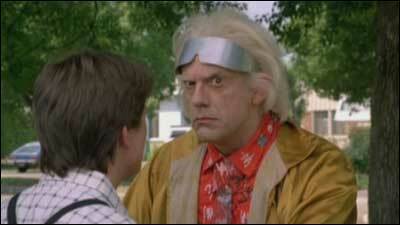 BACK TO THE FUTURE: An Alternate Ending. MARVEL PICTURES: Iron Man lifted revenues 28 percent and profits 32 percent last year, but Wolverine is about the only big thing in the pipeline this year. Iron Man 2 will begin principal photography in early April. BONUS: Samuel L. Jackson is making a deal to play the role of Nick Fury in Iron Man 2, and potentially many other films. GREEN LANTERN will be beaming into theaters in December 2010. IRAN said on Wednesday that it has begun tests on its first nuclear plant, in preparations for its launch. PAKISTAN: The military ordered a 4-day ceasefire in Bajaur while the Swat Taliban agreed to implement an indefinite ceasefire. IRAQ: The parliament has lifted immunity for member Mohammed al Dayni, who is accused of directing a terror cell in Baghdad. while fighting insurgents outside major cities has often proved something of a "whack-a-mole" scenario, US forces here say they're finally beginning to make progress thanks in large part to increasingly capable Iraqi security forces and an emboldened local population. CATS & DOGS... no, wait a minute. MONSTER PIG terrifies Hessian motorists. A 50-LB CARP swims into a flooded backyard in Fremont, OH. HAMSTERS on WHEELS: Your energy source of the future. KOMODO DRAGON attacks a park ranger in Indonesia. I can haz pic-a-nic basket? 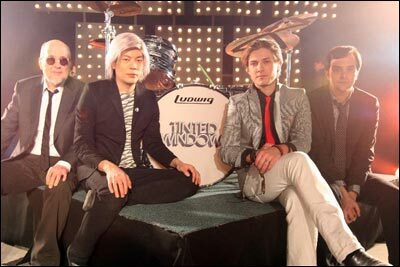 TINTED WINDOWS: Stereogum has your first audio/video of the combo comprising Fountain of Wayne Adam Schlesinger, ex-Pumpkin James Iha, Cheap Trickster Bun E. Carlos, and the Hanson brother... Oh, my! NEKO CASE is advance streaming her upcoming LP via NPR. THE MORNING BENDERS did three free songs for Daytrotter, two previously unreleased. 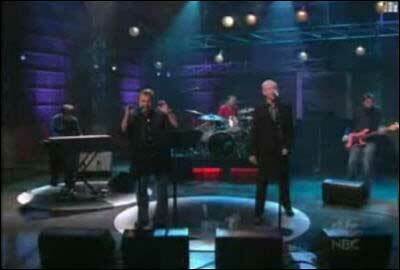 LEONARD COHEN is recession-proof. Hallelujah, indeed. FAITH NO MORE is reuniting, but there are no US dates. Kinda like Spinal Tap going to Japan, innit? Do we care a lot? GARY LOURIS & MARK OLSON get an audio feature on the ex-Jayhawks reunion from The Current. THE CURE: Robert Smith disagrees "violently" with Radiohead's recent pay-what-you-want scheme. NEUROSCIENCE & NOLSTALGIA: Music is a strong trigger of nostalgia, and evidence of this is not only in scientific journals, but almost certainly in your MP3 collection. 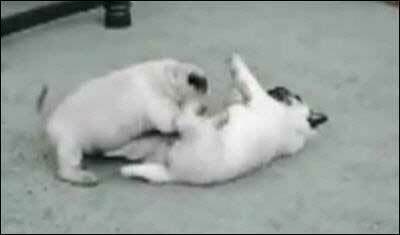 Thus, I must link to the "record fight" from Diner. MEGAN FOX has split from fiancee Brian Austin Green. I had nothing to do with it. BRITNEY SPEARS: Papper/ex-bf Adnan Ghalib has been charged with three felonies for allegedly smashing his car into a process server earlier this month... and there's a warrant out for his arrest. LINDSAY LOHAN & SAMANTHA RONSON: Another day, another fight. JENNIFER ANISTON & JOHN MAYER were reportedly a little testy at an Oscars afterparty, too. EVAN RACHEL WOOD & MARILYN MANSON, together again? JOAQUIN PHOENIX liked being mocked at the Oscars because his rap career is a hoax, according to FNC. 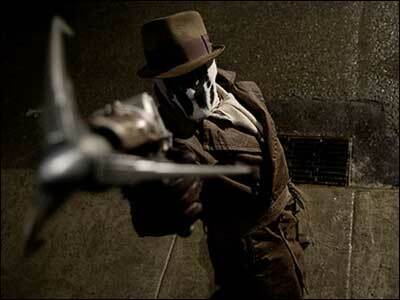 WATCHMEN: SciFiWire has two new extended clips featuring Rorschach, from near the beginning of the film. New York magazine notes that director Zack Snyder has changed the ending a bit (spoiler, natch) and the size of Dr. Manhattan's unit. THE GREEN HORNET: Michel Gondry is in negotiations to direct Columbia's big-screen treatment of the classic crime-fighting hero, starring Seth Rogen and Stephen Chow. That's pretty wacky. ARRESTED DEVELOPMENT: Superbad and Juno star (and before that, hello, George-Michael Bluth!) Michael Cera has finally agreed to do the feature film project, acording to E! 's Kristin Dos Santos. PAKISTAN: A new Waziristan Taliban alliance has been formed on the orders of Osama bin Laden and Mullah Omar. IRAQ: Security forces detained 100 suspected insurgents in a major operation in Ninewa province. American troops are beginning to pull back from bases and outposts that were linchpins in the US surge. 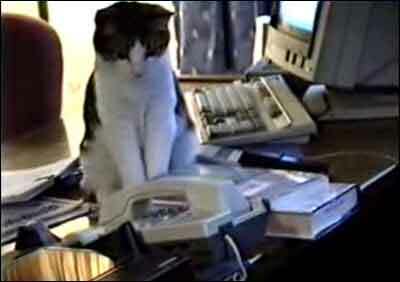 THE CAT is not your secretary. You would think any cat owner would know this. A GIANT WHITE RABBIT led coppers on a low-speed chase around Canterbury. I couldn't decide whether to go with a reference to Alice, Harvey, or Chaucer. AND NOW FOR SOMETHING COMPLETELY DIFFERENT: A frog with seven legs. POSSUM runs rampant through the Wests Leagues Club down under. Guess he wasn't playing. CONFUSE-A-GATOR: A bit like Confuse-A-Cat, though attaching magnets to their heads seems a bit dangerous.